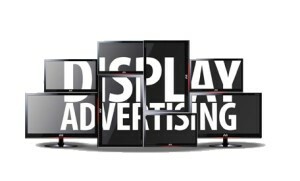 Simply put, display marketing is the type of advertising that contains text, logos, images, audio, video, and pictures. It used to be that display marketing was taking out an ad in a local newspaper or periodical; today marketing techniques have expanded greatly into online tools that can reach customers worldwide. They appear on web pages and social media sites in the form of banners or pop up ads. There is some conflicting research as to the effectiveness of advertising online on websites and social media pages. But marketing to the public with display advertisements is one of the best ways to appeal to a large number of consumers worldwide. In today’s online market, advertising is not nearly as confusing as some companies would lead you to believe. The use of outdated models would have you think that you need a team of experts to design and get your advertisement banners seen by your target audience. This is not true. The right company uses up to date tools and experts versed in analyzing data to make sure that your advertising is seen by your target audience. Knowing the right company to handle your online marketing campaign is the first step in having that campaign seen by people who are likely to click and continue clicking. Unlike advertising of old, where a catchy phrase and cute picture were all the design needed to attract a customer’s attention, today’s marketing techniques require algorithms and experts skilled in analyzing data along with the attractive image and phrase. Choosing the wrong company to take care of your online marketing will result in dollars and time lost. The right company will take your advertising ideas and find the best ways to market it in the fast changing field of display advertising. There are conflicting studies as to the effectiveness of display marketing. There are those that say most browsers are more likely to accidentally click on a banner ad rather than click for more information. There are those browsers who refuse to click on anything, however, an effective ad will be able to reach your target audience and ensure consecutive clicks and conversion. When designing your display advertisement, there are a few key points that should be taken into consideration. Knowing your audience is perhaps one of the most important. You need to design to attract the attention of the clientele that will be interested in your product. Clear and simple messages are more attractive and eye catching. Be sure that there is enough information in your ad to convey exactly what you are marketing, or at least enough to attract the attention of someone who is willing to click for more information. Once you have designed the perfect banner, even more important is the tracking and analyzing of traffic. Tracking your banners will give you the information needed to expand and better your marketing techniques. Without tracking and analyzing, you are unable to optimize and expand your target. Optimization is the key to online marketing. As fast as ideas and products are changing, so are the needs and desires of consumers. Keeping an eye on the changes and knowing exactly when to change strategies is the key to a successful design advertising campaign. Technological advances have made display advertising easier than it has ever been before. Today’s systems need to review thousands of requests and place ads within a second. It used to be that advertisers would need to work with multiple publishers and markets for a large scale campaign. 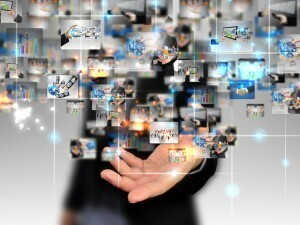 Now a single platform has the reach where multiple platforms were needed before. The use of multiple targeting strategies in large campaigns is easier with real time bidding. There are even real time algorithms that can alter bids based on the history of impressions. The advent of transparency removes the frustration of seeing what works on individual sites and which is most cost effective. A newer technique used in display advertising will save you time and resources. Knowing your target audience is one of the most important tools in advertising. It is also necessary to know when your strategies are no longer effective; some campaigns are short lived, others are only effective in certain geographical locations. Using auto optimization takes into account length of time and location of the campaign. By using all the data collected, and reviewed, false conclusions are unlikely to occur. Having a company handling your marketing campaign that understands and uses the new tools available puts your campaign above the rest. By not only using auto optimization tools, but also personally reviewing all the data collected through these tools, your advertisements will never be unseen or viewed in the wrong setting. Marketing online is the best way to get your promotions and advertisements to the largest audience possible. The design and target of your advertisements is always ultimately up to you, but knowing that the company that is putting your banners out there to be seen has the tools and understanding to make sure that your marketing is viewed by your target audience gives you the confidence to put your trust in them. As fast as products are changing and becoming popular, so are techniques and tools used for marketing them. An advertising company that uses the most up to date tools for your marketing campaign will give you the best chance at having your advertisement seen and converted into dollars spent on your products.